Chance is that you are in need of merging videos online. However, problem is that faced with numerous online video merger programs, you have no way to make a decision. The main reason is that you are not familiar with each joining tool, without knowing all pros and cons explicitly. To lead you to get more info, we are going to introduce 5 best online video mergers for your reference. 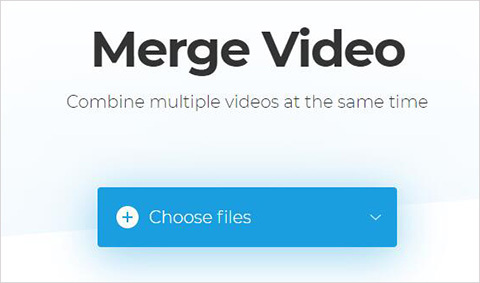 Merger Video Online is a totally simple-to-use online video joiner. It is especially suitable for new starters. When use it, you can feel free to add files from computer, Dropbox, Google Drive, or online source by submitting detailed URL. At you own will, you can add several videos in various formats. It's also workable for you to re-arrange the order flexibly. Alternatively, this lightweight tool can support diverse output formats, like 3G2, 3GP, AVI, ASF, F4V, FLV, M2V, M4V, MKV, MOV, MP4, MPG, MPEG, MTS, OGV, RM, TS, VOB, WMV, etc. Once the processing is completed, you can directly download it to your local folder. Or simply add to your Dropbox and Google Drive. WeVideo is not just a web-based video merger. To a large extent, it also acts as an online video editor. Hence, it is effortless to mix and match over 600 formats of videos, images, audios and graphics. Under the help of WeVideo, you are allowed to create horizontal and square videos at up to 4K resolution. You can as well add transitions, text, motion effects, green screen and more to make your videos cool. 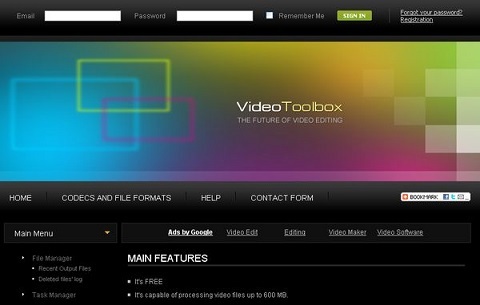 Here is another online video combiner, Video Toolbox. Frankly speaking, it is a relatively advanced tool that offers ability to process video files up to 1500MB. 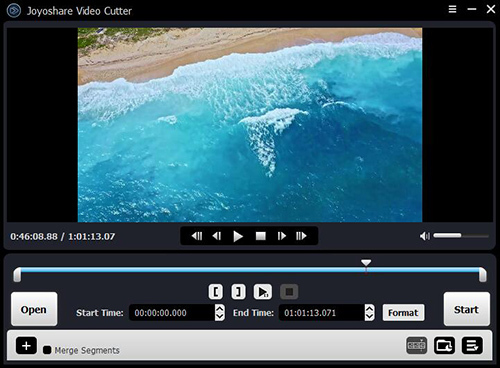 More brilliantly, this smart tool is capable of analyzing your uploaded video files in fast way so that you can familiarize yourself with all the information, such as bit rate, frame rate, codec, resolution, etc. 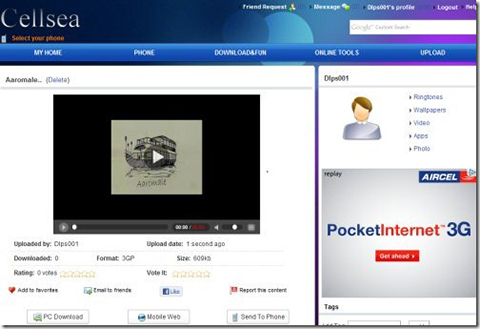 Essentially, Video Toolbox is able to join multiple video files with easy one-click. It can convert any files to the one you like, including 3GP, AMV, ASF, AVI, FLV, MKV, MPEG, MPG, RM, VOB, WMV, MOV, M4V and MP4. Taking the aid of it, you will benefit yourself a lot. You can get an access to extract audio from video, add text watermark to video, insert embedded subtitles and take snapshots and so forth. Cellsea is a free online video merger that has the option for merging video files into a single one. Meanwhile, it enables you to export your video file to 3GP, AVI, MOV, MP4 and FLV. By means of Cellsea Free Online Editor, you can manipulate a number of editing tasks as well. 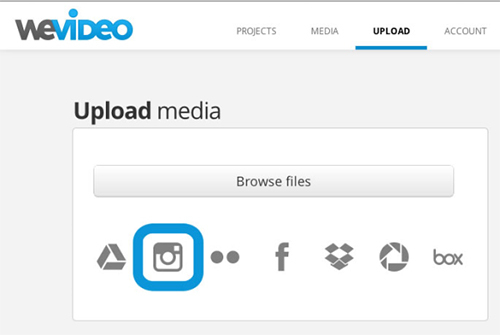 In details, it empowers you to trim, crop, resize and join all types of videos. You can even add audio track to the required video. 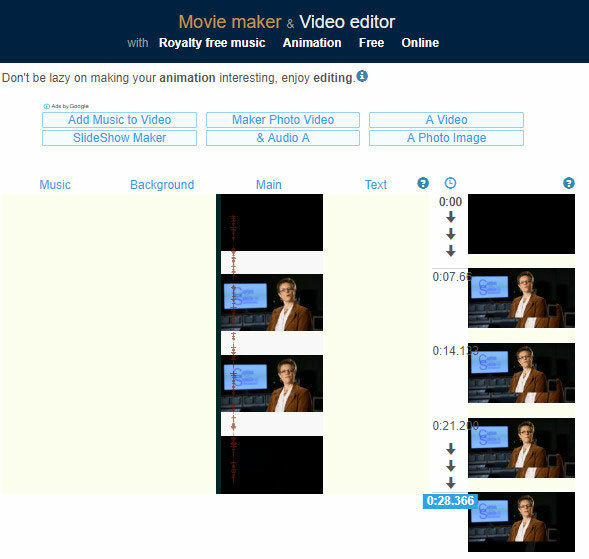 Movie Maker Online can be regarded as a versatile online video combiner. To satisfy more users, it comes with full-featured designs. Comprehensively, you can drag and drop files to set order or set customized duration for text and images. It's also practical to change timeline zoom to get better visual representation. Sometimes, the duration of your audio track may exceed the duration of your imported video. Happily, Movie Maker Online will automatically trim and make both of them same. Certainly, it is vital for you to add effects, like crossfade, fade-in and fade-out, to produce a smooth video file. In case you are not fond of these aforementioned online video merger tools and yearn for more qualified one, you can look further on Joyoshare Video Joiner. What distinguishes it from other online video joining programs is its unique merging mode. It can firstly help you cut any unwanted portions off and then join all rest of favorite sections together, which should come from the same imported video source. Pleasingly, it allows you to trim certain part, crop beloved area, rotate video vertically or horizontally, add subtitles, customize watermark, apply marvelous effects, adjust aspect ratio, hue, brightness, saturation and contrast and so on. Almost all kinds of video formats can be supported and reset, including resolution, frame rate, bit rate, codec, channel, etc. If you want to discover more features, you can try it in your own way. Try 6 Best Free MP3 Joiner Tools Now!